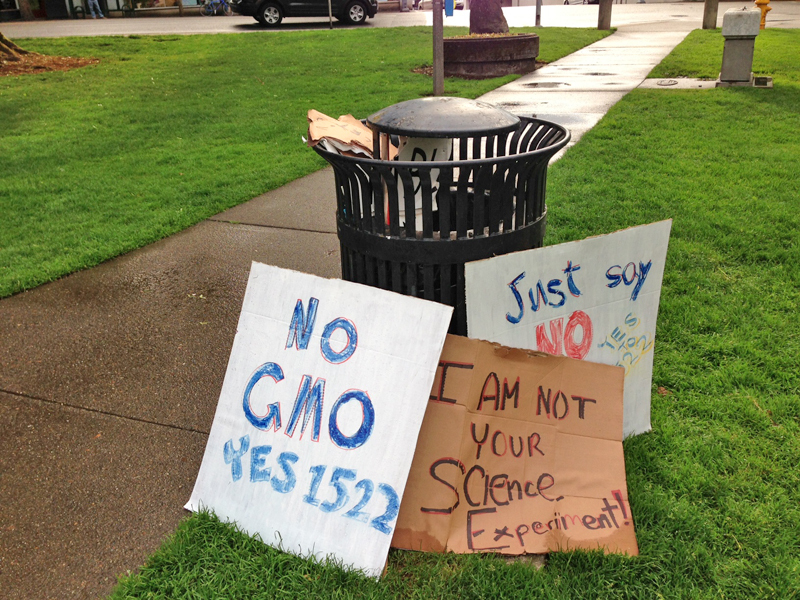 Aftermath of protest: Signs are dumped at wastebasket in Olympia’s Sylvester Park. 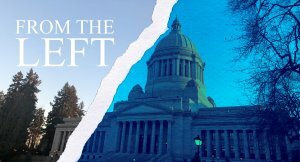 OLYMPIA, May 28.—If you were wandering through downtown Olympia Saturday around noon, you might have noticed a bit of commotion at Sylvester Park. 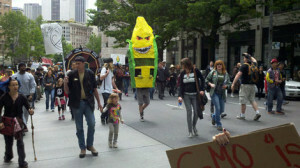 Somewhere between 100 and 200 people – Washington State Wire really wasn’t keeping track – had gathered to denounce genetically modified foods, for what was called a “March Against Monsanto.” It was actually pretty colorful – some of the participants dressed up in bee costumes that would have made John Belushi proud. Whoa! Two million? Mighty impressive. But maybe you need to take that number with a grain of genetically-modified salt. Washington State Wire did a little math. Some press accounts give the number of rallies around the world as 436, though other accounts and the longest list we could find on the Internet give the number as 250. But let’s offer the benefit of the doubt and say it was 436. For that 2 million figure to be correct, there must have been an average of 4,587 people at each rally. If there were only 250 protests worldwide, there would have had to be 8,000 people at each event. Since the Olympia rally was at best 200, that means some rally somewhere must have taken up the slack. But here is the darndest thing. Not a single press account of any rally anywhere in the country indicates that anywhere close to 4,500 people attended. We should note that organizers are quoted in some stories as saying that the Portland, Ore. protest drew 10,000. But The Oregonian newspaper in Portland puts the number at 2,000 to 3,000. 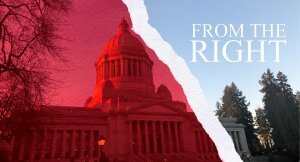 The Portland protest appears to be the high-water mark nationally, and perhaps it stands to reason: Food activists in that city won a major victory in an election last week, rejecting the fluoridated water that is used in virtually every major city, and the rally in a sense was a celebration and a continuation of the crusade. But in other cities, where reporters used their own eyes and estimated crowd sizes themselves – sort of like what Washington State Wire did in Sylvester Park – most reporters seem to have used the word “hundreds.” That’s how the Los Angeles Times called it. In San Diego, it was “more than 1,000.” In Chicago, it was 700. The odd thing is that many of those locally written stories lifted a sentence or two from the AP version, mentioning that their local event was part of a worldwide protest joined by 2 million people, and few reporters stopped to think — now wait a second. Literally an incredible number of people attend Seattle march. We have to admit we weren’t exhaustive in this search – for all we know some 1.9 million Africans may have been alerted to the rally by their Facebook news feeds and may have carried signs denouncing Monsanto through downtown Timbuktu. Perhaps the news has not reached us at this point. Though the whole idea of a simultaneous worldwide protest does seem to have been arranged for maximum attendance in the United States – it would have been 7 p.m. in sub-Saharan Mali, and midnight in New Dehli. And then, later in the day, a third version of the story went out. This one played it even safer. This one started, “Protesters rallied in dozens of cities Saturday as part of a global protest against seed giant Monsanto and the genetically modified foods it produces, organizers said.” No mention of marching millions anywhere. It just quoted Canal as saying an “incredible” number of people turned out for the event. Just goes to show that the modern journalistic practice, employed by many media organizations, of requiring reporters to quote somebody with regard to crowd estimates, rather than allowing them to use their own eyes and their own common sense, may not be the safest of practices. 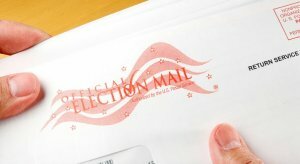 Maybe we need a truth in labeling rule here, too. And yes, indeed, turnout was incredible.